Two ships sat wedged on the land. Underneath their hulks lay the remains of houses and the bodies of those who called them home. All around lay flattened. On a piece of corrugated iron read the words ‘HELP ME’. A teddy bear was face-down nearby and underfoot were the remants of everyday life as we know it; school books, shampoo bottles and plates among the debris. I was in the Barangay 70 and 69 district in Tacloban city in the aftermath of Typhoon Haiyan. Earlier that day we saw bodies on the streets and drove past an evacuation centre which collapsed on top of those who had sought safety there, the steel structure twisted horribly by the storm. More than 5,000 people were killed and 4 million were forced from their homes as Haiyan (or Yolanda as it’s known in the Philippines) wove its destructive path through the central Philippines. It was the strongest tropical cyclone on record to make landfall. Grief was raw. We stopped at a church surrounded by newly dug plots. A photograph of a boy no older than three marked one resting place, surrounded by favourite sweets. Back where the ships lay, we met a father who had lost his wife and three children. In an emotional encounter, he wept as he showed their pictures in the family photo album. Amid the devastation, children played in the street and begged us to take their smiling pictures. Nearby, an Oxfam water bladder was providing clean and safe water. Opposite stood one of another Oxfam tap. In spite of their overwhelming loss, people were trying to get back to some sort of sense of normality. Stalls were opening again on the side of the roads and the most popular items were torches, proving that demand dictates the market no matter what the circumstances. Everywhere we went in the Philippines, people on spotting the Oxfam t-shirt would ask where we were from and express their gratitude for the support coming from the island of Ireland at this most difficult of times. Their resilience stunned us. This was my first time in Asia and my first experience witnessing our humanitarian work in action. It was a real privilege to see how the generous donations of people across the island of Ireland translated into positive results on the ground. From those who came into our shops with cheques written out to the appeal (the odd one written in four figures), to children who saved up their pocket money, along with bucket-shaking, events and even a charity single, we are incredibly grateful for your support. 100% of the funds raised went to our emergency response and had a positive and long-lasting impact. Top left: Seaweed farms like Marissa Gegante’s on Bantayan island were destroyed by the typhoon. She says: “We are thankful again for having Oxfam. They helped us to recover from the typhoon and to the donors of the livelihood programme and cash-for-work – and for the love we received from them. God bless Oxfam.” Tessa Bunney/Oxfam. Top right: Enfracian Boca, pictured with her granddaughter Marcy Anne Fuentes (8 months), received an Oxfam hygiene kit containing essential items including soap, detergent, toothpaste, and underwear. She says: “Thank you to Oxfam for the hygiene kit. It has been very useful – we have used everything, especially the soap.” Eleanor Farmer/Oxfam. Bottom left: Arlene Arceo, Manager of Latufa Farmers' Association, says: “We thank Oxfam for helping us to recover after the super typhoon Yolanda. You give us new hope for our livelihoods and a new job on our coconut lumber project.” Eleanor Farmer/Oxfam. Bottom right: Kenneth Caneda stands in front of two Oxfam latrines in Tacloban. “I use these Oxfam toilets,” he says. “We have no other toilets here. Also thank you for the cash for work for clearing the paths here.” Eleanor Farmer/Oxfam. Thanks to the generosity of our supporters, we were able to not only provide vital aid such as food, clean water, sanitation and shelter in the immediate aftermath but also be there for long-haul, helping people to rebuild their lives and livelihoods. Typhoon Haiyan delivered a double blow. In the short term, it left more than 14.1 million people in need of immediate, life-saving assistance. But it also pushed millions of poor people further into poverty. Rice crops, coconut trees and fishing boats were wiped out, leaving people struggling to grow food and earn an income. In response, we have reached more than 860,000 people so far. Our first priority was to provide life-saving assistance, such as clean water, toilets, hygiene kits, and cash to buy food and other essentials. We then began helping people to recover the livelihoods that had been destroyed by the disaster. For example, we provided rice seeds for farmers to replant lost crops and chainsaws for clearing fallen trees that obstructed fields. One year on from the disaster, the emergency phase of our response has finished. We’re now focusing on long-term recovery and rehabilitation. One way we’re doing this is by planning how water and sanitation facilities will be managed on a permanent basis. We’re also looking at how people will be able to earn a living. We need to ensure that communities not only recover, but are more prepared for the next disaster. The Philippines is the third most disaster-prone country in the world. In the face of predictions of more extreme weather, our new report Can’t Afford to Wait highlights the importance of being prepared for climate-related risks. It follows a warning last week from experts at the Intergovernmental Panel on Climate Change about the irreversible impact of climate change on people and eco systems. But there is a solution, if we urgently reduce carbon emissions. 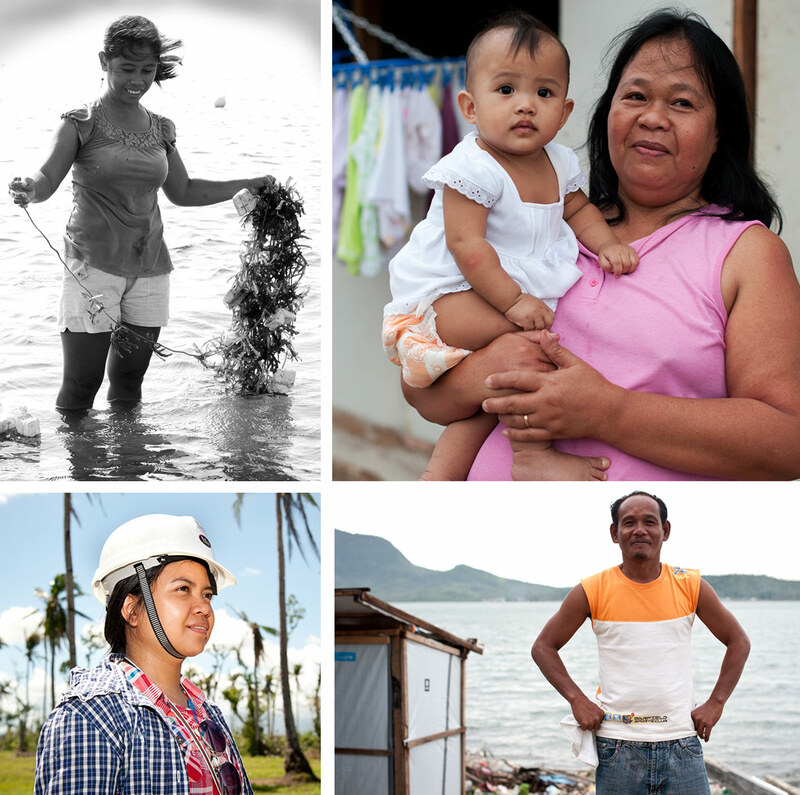 Our Philippines campaign called #MakeTheRightMove calls on the Filipino government to get resettlement and rehabilitation efforts right, and immediately put in place their disaster preparedness and climate change adaptation plans. As the world reflects on the events of November 8th, 2013, for those grieving nothing can ever replace their loss. All we can do is continue to provide life-saving and life-changing support in times of crisis, and ensure people can face the future prepared, come what may. Sorcha Nic Mhathúna is Oxfam Ireland’s Communications and Content Manager. We recently teamed up with Declutter Therapist Breda Stack to help you to organise your closet, stop unnecessary hoarding and to declutter your life. Above: Breda Stack, The Declutter Therapist. Breda defines clutter as “anything physical, mental or emotional that doesn’t serve us or make us feel good. By letting go of anything that doesn’t enhance our life, decluttering helps us to make room for better things. Breda has made it her mission to raise awareness about the holistic benefits of decluttering and organising your home, not just in terms of physical space but also mental and emotional wellbeing. Clutter may not enhance your life but at our Oxfam shops we can use it to transform lives. For example, the sale of a dress for €8 could help purify around 2,000 litres of water, making it safe to drink for South Sudanese families living in makeshift camps. Why not give it a go today and let go, feel good and change lives? Read the latest edition of Oxfam & You to see how we're making amazing things happen together. Your support has enabled us to stand in solidarity with the people of South Sudan as the humanitarian crisis there escalated (see page 4). With 1.5 million people displaced and an estimated 4.9 million in need of assistance, we are there providing clean water, food and other basic essentials. We are also responding to the humanitarian crisis in Gaza (see page 5), providing food and sanitation as well as supporting hospitals and health clinics as they struggle to cope with large numbers of injured people. 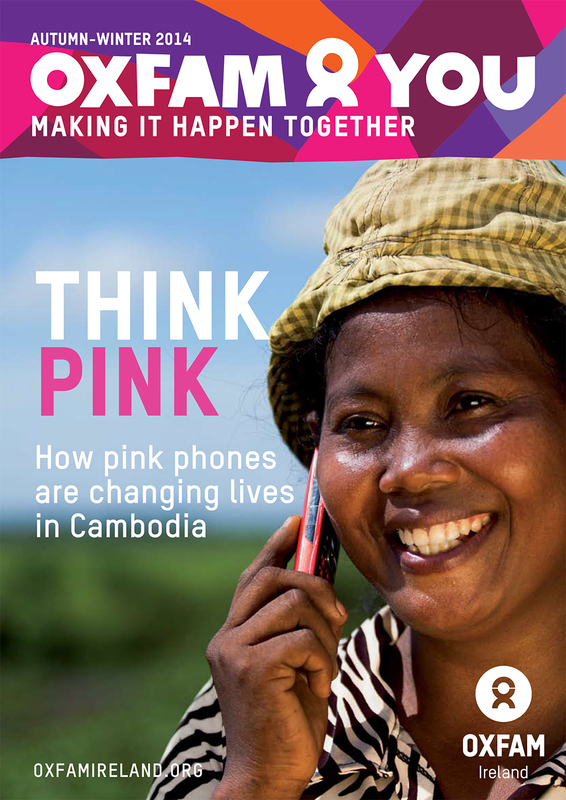 Your support is vital in times of emergency but also in our long-term development work, like the Pink Phones project in Cambodia supporting female farmers to boost their harvest and their profits as well as helping them to use their voice for good in their communities. Fancy a one-of-a-kind piece of furniture? 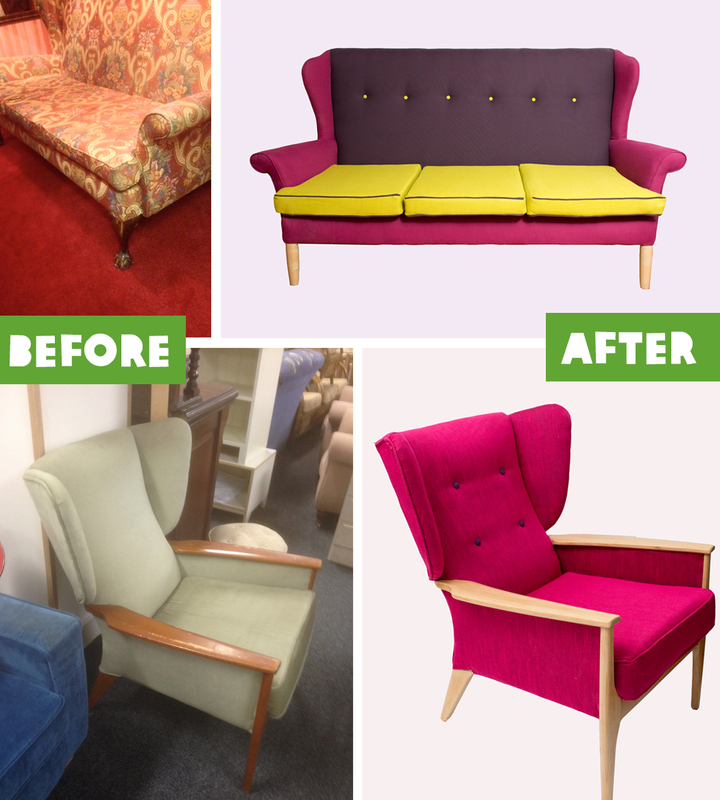 Rather than shelling out on a designer piece, check out the selection of good quality and great value furniture in your nearest Oxfam Home shop, roll up your sleeves and get upcycling! Whether it’s simply dipping the legs of a wooden stool in bright paint or embarking a full-scale re-upholstery of a mid-century style armchair, there’s never been a better time to embark on a DIY meets design project. Interiors blogger Alex Carberry (aka Hydrangea Girl) recently worked her magic on a set of bedside tables from Oxfam Home – you can see the beautiful results here. Inspired by the before and after results? 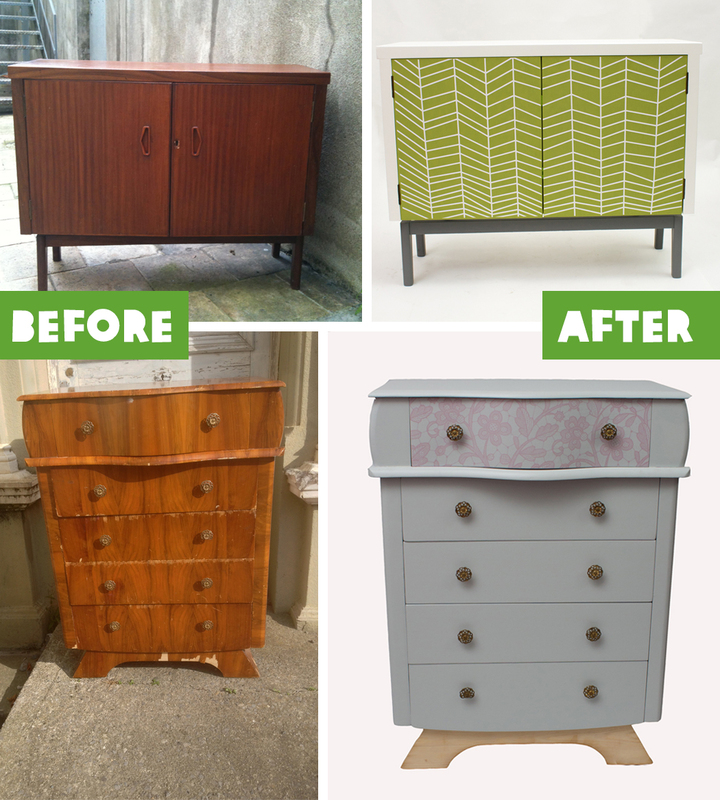 You can find your very own upcycling project at any of our three Oxfam Home stores, located on Belfast’s Dublin Road and on Francis Street in Dublin 8 and in Dublin’s north inner city just off Parnell Street at King’s Inns Street. 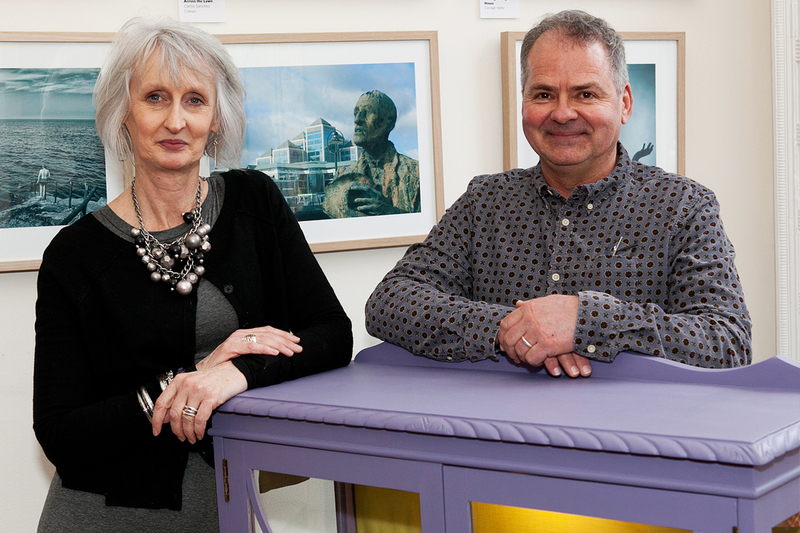 Not only will you have a unique centre-piece for your home, by purchasing your furniture in Oxfam Home you’ll be raising vital funds for our work overseas, such as our current emergency response in South Sudan where families desperately need food, water and sanitation. Call in, we’d love to see you! Oxfam Ireland Ambassador Sharon Corr is convinced her mother could have been a successful singer if she’d had the opportunity – but the social norms meant she had to stay home to raise her family. “My mum grew up in an era where women were more or less dictated to - you must go to work because your brothers need to go to university, you must leave work because you are married and your job is now to look after your husband and have kids,” said Sharon. Sharon is currently in the US on a world tour with her new album The Same Sun and said the title track was inspired by her trip to Tanzania visiting Oxfam’s women’s rights programmes. Sharon is now supporting our Female Heroes campaign, which encourages people across the island of Ireland to celebrate the inspirational women in their lives. “Going to Tanzania was a truly life-changing experience. It reinforced for me the power of women to change the world. No matter what challenges they might face and the obstacles in their way, women will do everything they can to overcome them for the good of their family and community,” Sharon said. “My mother was a beautiful singer and I believe if she had had half the chance she could have really reached for the stars but she stayed at home and looked after us and she took great pride in that - making our clothes, cooking wonderful dinners - she did everything for us and gave us a wonderful childhood. “She also taught us to follow our dreams. I don't believe you can put a value on that - she gave us wings so we could fly and dreamed of great things for us and I am so glad that she saw our success. “To me a hero is someone who stands up for what she believes in, who puts the greater good ahead of herself and inspires others because of her strength, her kindness and her courage.” Sharon said. “We’ve made a lot of strides in Ireland over the years towards equality between the sexes. But we must never take this for granted, nor forgot the women who made this possible from the suffragettes to the feminist movement. Our daughters will grow up with opportunities our grandmothers could only have dreamt of. “Despite the many advances, women still struggle with sexism in many areas of life. My own experience in the music industry has been a largely positive one, yet there is still so much more focus on woman’s appearance compared to men rather than on her talent and abilities as a performer. “But there are many strong women both on stage and behind the scenes, along with the fans themselves, who are changing the dynamic,” said Sharon. “Seeing the difference our support can make, I would encourage people throughout Ireland - North and South - to celebrate the women who have made a difference in their lives with an Oxfam Heroes card, gift or event. “We all know heroes, but how often have you told someone that they’re yours? Not only is it a beautiful way to say thanks to a female hero in your life, but you’ll also make a positive difference to women living in extreme poverty worldwide. “Heroes change the world in big ways and in small. My motto is that we do not need to do great things, just little things with great love. Celebrate your Hero this Mother's Day with one of our special gifts. 100% of the profits go to supporting Oxfam's work with women worldwide. You can see more from Sharon's trip to Tanzania in the video below.